After a career as an art teacher, Bob now finds nothing more satisfying (or scary) than expressing himself on canvas or cloth, or teaching discharge, dye and stitch processes across the USA and internationally. 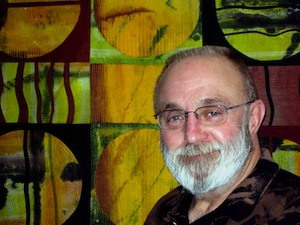 His work has been selected for many juried and invitational exhibitions, including three Quilt National shows. Sue Benner is recognized internationally for a body of artwork drenched in color and laced with texture. 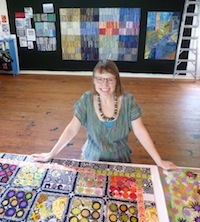 Melding her passion for science with art, she makes richly layered textile canvases by fusing her own dyed, painted and printed silks with found fabrics rescued from closets and thrift stores. 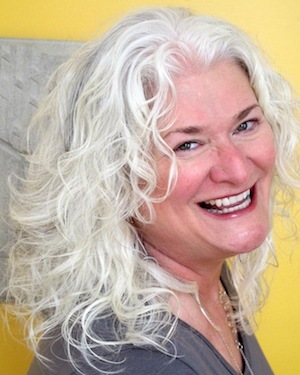 Lisa Binkley teaches and exhibits her art nationwide. Her work has been featured on TV and in print and is represented in private and corporate collections. Lisa loves sharing her passion for fiber and beads through her artwork, teaching and writing. Dorothy Caldwell graduated from Tyler School of Art at Temple University. 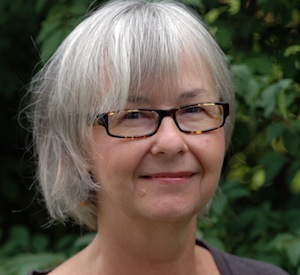 She maintains an active international exhibition schedule and has received numerous grants and awards, including the Bronfman Award, given to one Canadian craftsperson, each year. An expert in stitch resist shibori, Cavanaugh works with cloth, dye, paint, wire and fencing to create 2-D, 3-D and installation works. 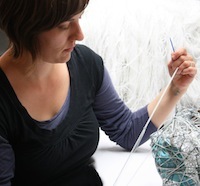 She was the recipient of a GCAC Dresden residency and is represented by Muse Gallery. Cynthia Corbin's art quilts have been exhibited throughout the United States and abroad in such exhibitions as Artist As Quiltmaker, Quilts=Art=Quilts, Art Quilt Elements, Quilt National, Speaking In Cloth, Visions, Craft Forms and Fiberart International. 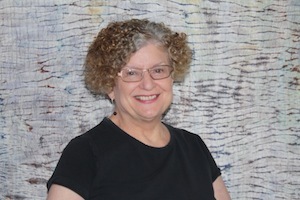 Rosalie has a background in art and education, and combines her talent in exhibiting, teaching and judging quiltmaking. 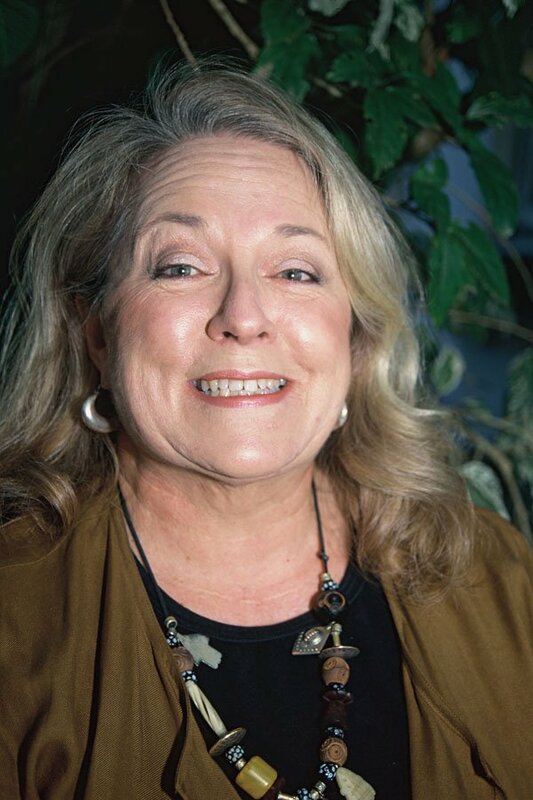 She has taught and exhibited internationally, and was nominated for the Professional Quilter magazine's "Teacher of the Year." 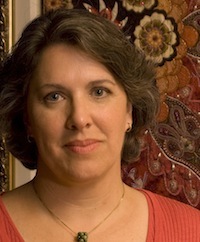 Deborah Fell is a full-time studio artist committed to the art quilt medium. She is a professional educator and member of SAQA and ArtQuilt Network. Deborah's art focuses on abstract, organic shapes while using surface treatment such as dyeing and painting. Known for her whimsically elegant fabrics and "Art to Wear", Kerr's playful approach to art and surface design has created an enthusiastic following for her workshops. After twenty-two years in rural New Jersey, Kerr recently returned to her Mississippi roots and influences. Her studio is in Bay St Louis, a small artist community on the Mississippi Gulf Coast. 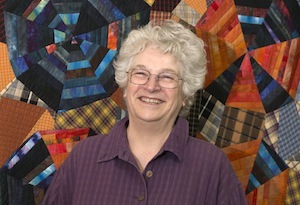 Jeannette DeNicolis Meyer lives and makes quilts in Portland, Oregon, where she taught for ten years in the Studio School of the Oregon College of Art and Craft. Her work has been in a number of museums, including the Contemporary Crafts Museum, Coos Art Museum, Bellevue Arts Museum, Kentucky Museum of Art and Craft, the Grants Pass Museum of Art, the Whatcom Museum and the Rocky Mountain Quilt Museum. Internationally, her quilts have traveled to France, Japan, Costa Rica and New Zealand, where they were featured at the Centre of Contemporary Art in Christchurch. Andrea Myers explores the space between two and three dimensionality by combining forms of painting, sculpture and textile-based work. 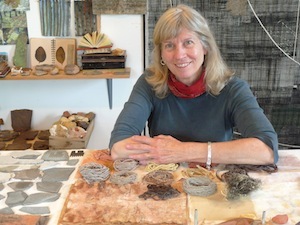 Myers received her MFA from the Fiber and Material Studies department at the School of the Art Institute of Chicago. 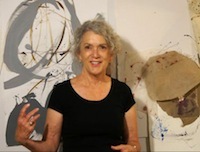 Her work is shown in Hammond Harkins Gallery in Columbus, Ohio, and Circuit 12 Contemporary, in Dallas, Texas. Lesley Patterson-Marx is a mixed media book artist, printmaker, teaching artist and illustrator. 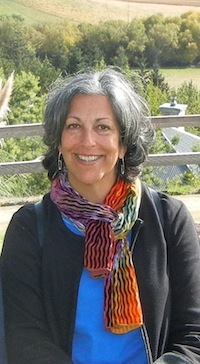 Her work has been shown in galleries across the United States, and in national and international publications. Fran Skiles was born in Cincinnati, Ohio. 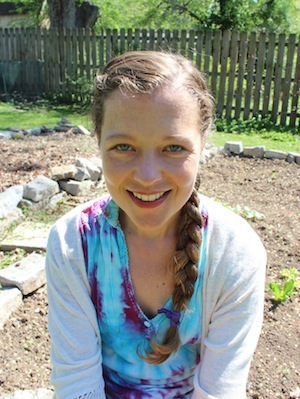 She graduated from West Virginia University with a BA degree in textile design. She teaches and lectures throughout the United States giving workshops on paper and fabric collage.